The bag of gifted basil was inspiring me to make something colorful, and I thought it would look pretty against yellow corn. 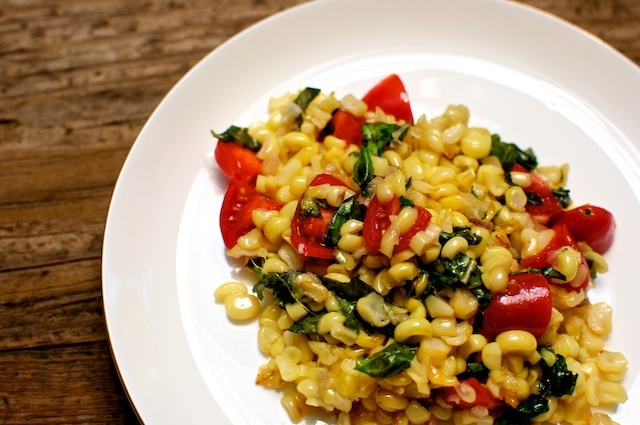 Throw in a few tomatoes, and it's a party. 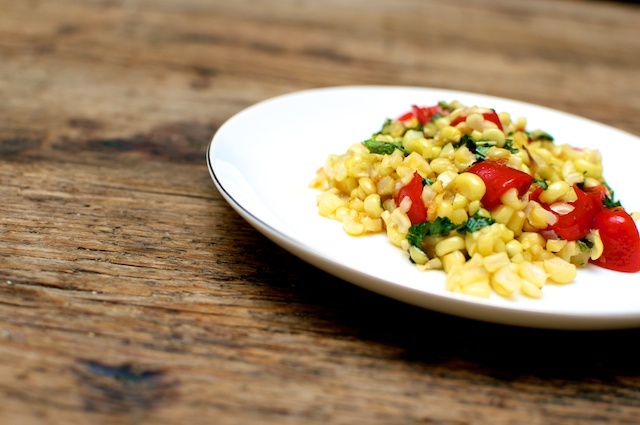 Now, almost nothing beats simple corn-on-the-cob thrown on the grill. But sometimes I want to dress it up a little bit. So enjoy this dressy summer side . . .
Slice corn off the cob. Melt butter over medium low heat in a large saute pan and add red onion. Cook until softened. 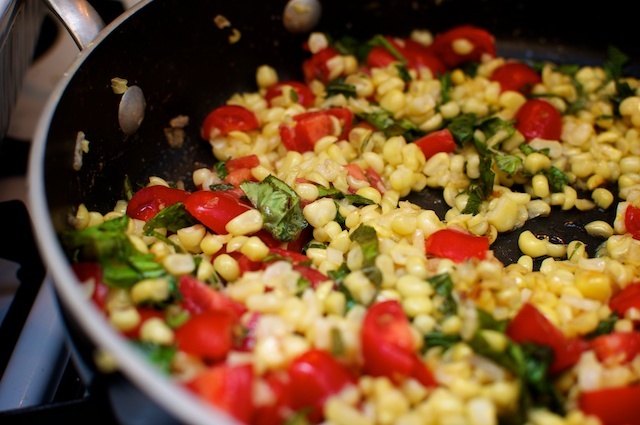 Add corn, basil, salt, sugar and a pinch of red pepper flakes and mix thoroughly. Let cook for 15 minutes or until you are finished preparing the rest of your meal. 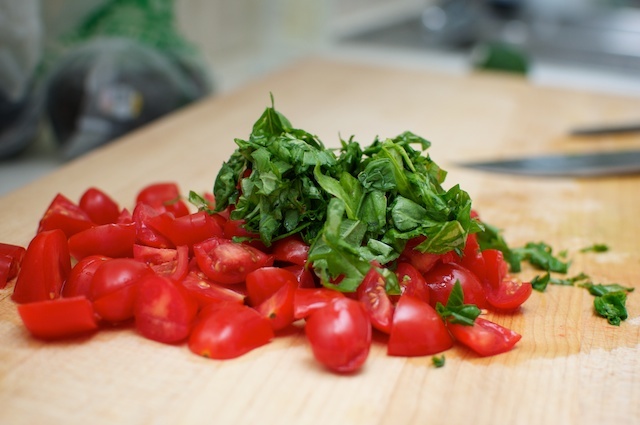 Stir in tomatoes (and more salt if needed) immediately before serving.